The ProGear 250 Compact Upright Bike with Heart Pulse can do the job as a reliable exercise machine and does well in satisfying most of its customers with the features it’s offering at a very affordable price. However, it’s suitable for people who do not require very intense training since it doesn’t give such high resistance. Physical fitness is becoming an issue in many countries that deal with increasing cases of obesity, diabetes, heart diseases and many other illnesses. Consequently, it’s become more common to own exercise machines so that people could fit in that necessary daily grind in the busiest of schedules. Unfortunately, decent machines are usually very pricey for the average person. The ProGear 250 Compact Upright Bike is a good option for anyone who needs a quick daily workout and doesn’t have to empty their wallets in the process. The ProGear 250 exercise bike offers more than its money’s worth even though it belongs in the economical varieties on the market. Firstly, for a strong and durable exercise bike, it’s really light, and is equipped with transport wheels, making it portable and hence, space-saving. It can support users up to 250 lbs, who can easily mount and dismount thanks to its design. The bike operates with a V-belt drive system that works efficiently and quietly, making it all the more suitable for homes. It’s also able to adjust user heights ranging from 4’11” to 6’2” with the help of its large, 7-level adjustable seat. The stability end caps prevent the common case of rocking because of instability during intense workouts, and the water-bottle holder lets you quickly hydrate and revitalize. 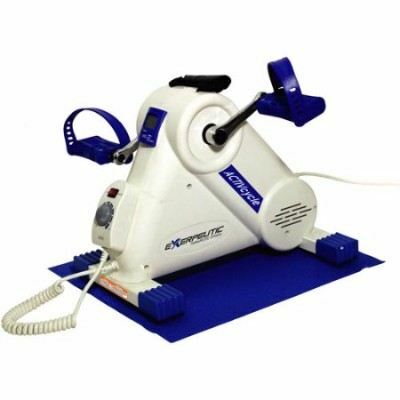 Moreover, the ProGear 250 provides users with satisfactory workouts, with the freedom to vary the difficulties from 8 adjustable levels of magnetic resistance, giving a good deal of range in workout intensities. The large LCD display console indicates calories burned, distance, time, speed and heart-rate (dual handlebar pulse sensors) so you can carefully monitor your workouts and track your progress. The large pedals provide a good fit and grip, and the straps ensure control of pedaling and prevent accidental slippage. However, there may be some faults in the tension system which has been reported to occasionally fail or jam. The ProGear 250 Compact Upright Bike with Heart Pulse can do the job as a reliable exercise machine and does well in satisfying most of its customers with the features it’s offering at a very affordable price. However, it’s suitable for people who do not require very intense training since it doesn’t give such high resistance. The upright design may lead to some joint pain, especially after long workouts. Other than its obvious disadvantages and lack of some features, the ProGear 250 is a great, economical exercise bike that will push you towards your fitness goals.